EXCLUSIVE! 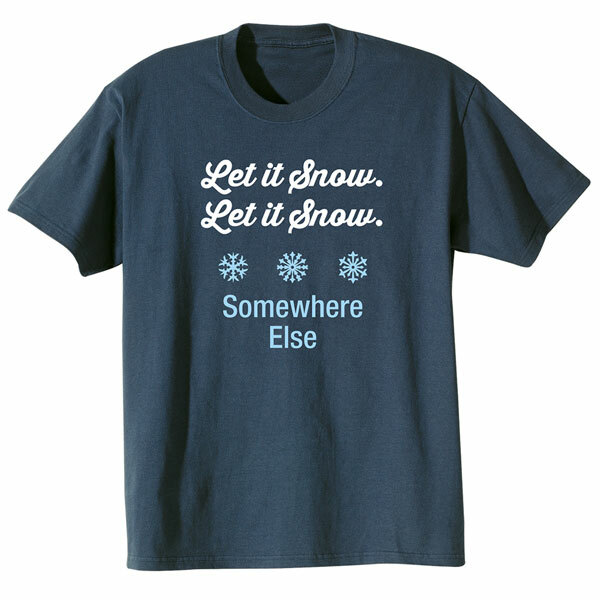 Where would you like it to snow? Anywhere but where you are, or somewhere you're going, like Vail or your local ski resort? Specify the place of your choosing -2 lines, up to 16 characters per line. 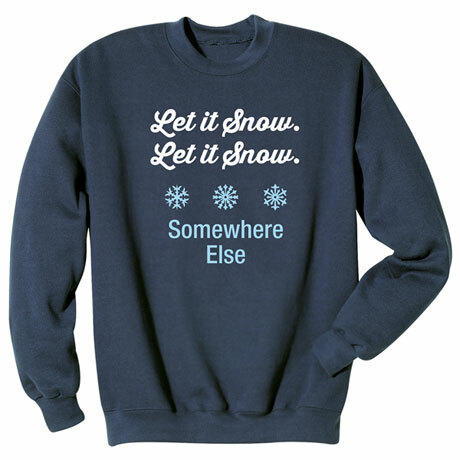 Navy sweatshirt is 50/50 cotton-poly; T-shirt is preshrunk 100% cotton. Sizes M-XXL. Imported. Add $2 for XXL.